Los Angeles, CA - December 11, 2014 - Lindsay Lohan today announced the release of her new mobile game, "Lindsay Lohan's The Price of Fame." 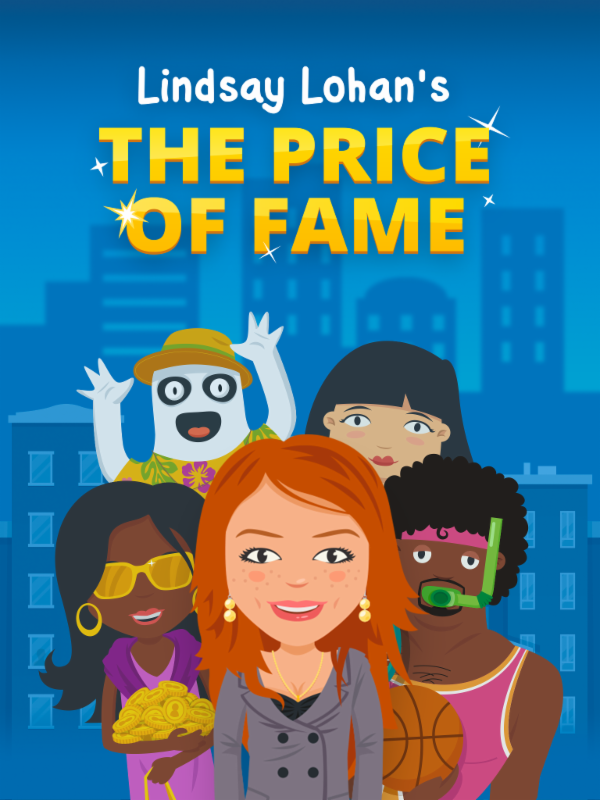 Designed as a parody on celebrity culture and paparazzi, Price of Fame, enables players to become world famous celebrities by creating a virtual self that can purchase outfits, accessories, toys and even pets. Lindsay Lohan has been performing since she was three years old with more than 60 television commercials to her credit before the age of 11, when she captured America's hearts in her film debut, the hit Disney remake of The Parent Trap. Lohan went on to further success in such box office hits as Mean Girls, Freaky Friday, Machete and the critically acclaimed A Prairie Home Companion. Lohan has been a constant presence in film and TV, with further credits including Confessions of a Teenage Drama Queen, Georgia Rule, Ugly Betty, Glee, Eastbound & Down, and 2 Broke Girls. In addition, Lohan has received praise for appearances on Saturday Night Live and The Tonight Show With Jimmy Fallon. In addition to being an accomplished actress, Lohan is a platinum-selling recording artist, fashion designer and highly sought-after model, and has been featured in photo shoots for some of the most renowned fashion houses in the world. Space Inch, LLC is a rapidly growing independent mobile game studio. Space Inch games include Say the Same Thing (an Apple Editor's Pick and Best of 2013 selection), Disco Bees (acquired by Scopely and FB Best New Mobile Game for 2014), and Make it Rain (a smash hit, reaching #1 overall app for a week in early 2014).